WPUM Widgets can be added anywhere into your site's widgets area ( assuming your theme supports widgetized areas ). 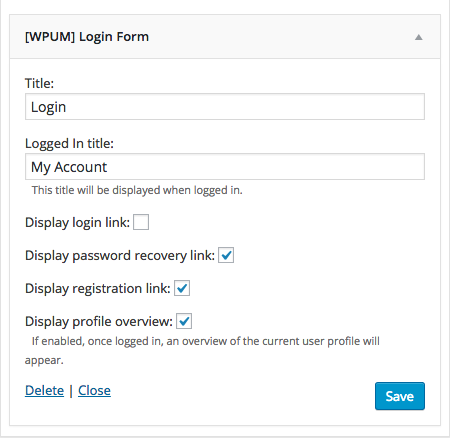 Login form when the user is not logged in. Profile overview (if enabled) when the user is logged in. The widget will automatically change it's title and content once the user is logged in. Furthermore if enabled, you can also display links to password recovery and registration pages.